some care providers. However, there is limited and conflicting evidence on the impact of cannabis use on OAT outcomes. 2016. The proportion of women was higher among HIV-negative participants, with no other significant differences. Using cannabis at least daily is associated with better 6-month retention in a program of opioid replacement therapy. Greater retention during treatment for opiate use disorder (OUD) reduces morbidity and mortality and predicts better outcomes. According to preclinical and clinical data, both tetrahydrocannabinol (THC) and cannabidiol (CBD) might reduce opioid withdrawal and pain. CBD is safe in humans and might reduce anxiety and craving for opioids. However, results have been mixed in several large observational studies of the relationship between cannabis use and OUD treatment retention. In another observational study, researchers followed 820 Canadian patients with OUD for a median of 81 months after initiation of opioid replacement therapy (methadone, 99%). At baseline, daily heroin injections were reported by 44%, daily prescription opioids by 8%, and cannabis use by 49% (17% used cannabis daily). In two semiannual follow-ups, daily use (but not less than daily) was associated with a 20% greater odds of 6-month treatment retention than no cannabis use. Various analyses yielded similar results. Despite these provocative findings, providers should not recommend cannabis to patients with OUD for several reasons: Of several large observational studies, this is the only one supporting a benefit for retention with cannabis use; in two others, cannabis users had worse outcomes. As an observational study, it may have unmeasured confounders. Cannabis use has several potential associated risks and harms, including psychotic disorder, cognitive impairment, and cannabis use disorder. Finally, the findings might be relevant only to patients on methadone; almost no participant received buprenorphine. That said, cannabis use is unlikely to be excessively detrimental to recovery from OUD. In light of the recent FDA approval of a cannabidiol-containing compound and its classification to Schedule 5, more studies should be performed soon to investigate the utility of CBD for treating substance use disorders. Once a month, Kim Hudson, 51, knocks on the door of her own home in Warren, Michigan.Eleven-year-old Ava answers the door and Hudson gets to “play grandma for the day.”On the surface, this ritual isn’t that unusual. Hudson is actually Ava’s grandmother.But ever since Ava’s mother, Katelin, died from a heroin overdose three years ago, Hudson has had a much larger role. Hudson never expected her daughter — who had Ava when she was 17 and was a “good mom” — to struggle with opioid addiction. But after Katelin had her wisdom teeth pulled when she was 21, everything changed. “They gave her some strong pain killers, and after that her life just unraveled,” said Hudson. Katelin was in and out of rehab. When she started using heroin, she was in and out of jail. While Katelin was in jail in 2011, Hudson and her husband — who has since passed away — applied for temporary full guardianship of their granddaughter. They did it for one simple reason — Ava. As the opioid epidemic forces more children out of their parents’ custody, grandparents like Hudson are stepping in to fill the gap. But as they become the primary caregiver for their grandchild — or grandchildren, in some cases — older adults are seeing their lives turned upside down. “They thought this was a time they were going to get to go to the movies and play cards with their friends. Instead, they are being a full-time parent,” Jaia Peterson Lent of Generations United, a Washington-D.C.-based nonprofit, told Healthline. Grandparents who do the right thing also face many obstacles. These range from navigating child welfare systems to caring for grandchildren that may have special medical or therapy needs — all while dealing with the effects of their own child’s addiction. After years of decline, the number of children in foster care is once again on the rise, reports Generations United. There were more than 415,000 children in foster care in 2014, up from about 398,000 in 2011. Experts point to the opioid epidemic. Children may be removed from their home when their parents are jailed or forced into treatment due to opioid use, or when the parents die from an opioid overdose. In 2014, more than 40 percent of children in foster care with relatives were there because of their parents’ opioid, alcohol, or other drug use, according to Generations United. These are people who are trying to get clean so they can maintain custody of their child or grandchild. But Brown said that START has also seen a jump in requests from children and family services about whether people in treatment are still able to take care of their child. When addiction treatment — whether it is medication-assisted treatment or individual or group counseling — doesn’t work, foster care may be the next step. States hardest hit by the opioid crisis have seen dramatic increases in foster care. In Ohio, drug overdose deaths rose 21 percent between 2014 and 2015, according to the Centers for Disease Control and Prevention (CDC). Since 2010, the number of Ohio children placed with relatives in foster care has risen 62 percent, according to Generations United. Overall, about 2.6 million American children are being raised by grandparents or other relatives, according to the nonprofit. “There is a real need for more supports and services, and also more information about the existing supports and services that are available to grandparents and other relatives,” said Peterson Lent. Many grandparents expected they would be enjoying the freedom of retirement, not raising another child. The financial burden is overwhelming for many grandparents. There are the routine costs of daycare, clothing, and food. But there are also adoption and legal fees. Children who witnessed their parents’ substance abuse, or who were exposed to opioids before birth, may also need ongoing medical care and therapy in order to live healthy lives. Some grandparents raising grandchildren are also living on a fixed income. And nearly one in five live below the poverty line, according to Generations United. Older adults may even be dealing with their own health issues. This can make it hard to keep up with the go-go-go pace of a child. Some grandparents may even forgo their own medical care. They may even cut back on their medication in order to put food on the table or pay for other necessities for their grandchild. Some resources and financial assistance are available to grandparents who step in. These vary from state to state and depend on many factors, including their income and whether they are a licensed foster care parent. The monthly stipends for fostering can help. But according to Generations United, for every child in foster care with relatives, there are 20 children being raised by relatives outside the foster care system. “That means that they are going to have access to much less support and services — and certainly less financial support — than if they become a licensed foster parent,” said Peterson Lent. Ironically, when grandparents step in before their grandchild ends up in the foster care system, they are missing out on support that can help them take care of the child. Hudson was one of those grandparents. “I never went the foster care route at all, because my husband was here and we were providing for her,” she said. But now that her husband is gone, she wonders if she could have gotten more support. Her older children — age 25, 21 and 20 — all moved back home, which helps. But even for grandparents who are registered foster parents, the small monthly stipend they receive from the foster care system may not cover the added legal and medical expenses. And in some states, if they adopt their grandchild, the financial support dries up. Hudson and her husband did apply for legal guardianship of their granddaughter. Without this formality, grandparents would have a hard time doing things like enrolling their grandchildren in school or taking them to the doctor. Experts say that there are good reasons for providing more support for grandparents and other relatives to take in these children. There are other benefits, as well. Already, state foster care budgets are stretched thin, social workers are overloaded, and there is a shortage of families willing to provide temporary homes for children. Relatives play an important role in helping children left behind by the opioid epidemic — and in helping an overburdened foster care system. Generations United reports that, in 2014, more than a third of all children who were removed from their home because of drug or alcohol use were placed with relatives. The opioid epidemic is not the first time that grandparents and other relatives have had to step up to take of children affected by their parent’s drug addiction. But some progress to the system has been made since the crack epidemic in the 1980s and 1990s, or the earlier opioid epidemic in the 1970s. One step forward is The Fostering Connections to Success and Increasing Adoptions Act of 2008, which promoted placement of children with relatives. This includes giving relatives financial support similar to what other foster parents receive. Peterson Lent added that one thing the child welfare system doesn’t do well is provide earlier support for families, so foster care isn’t the only option. “We need to turn child welfare financing on its head so that states can use some dollars for proven programs that help prevent that tragedy, that help prevent a need for children to enter foster care,” said Peterson Lent. Brown said there is also a need for more support for the children of parents with an opioid addiction, to keep them from ending up on the same path. This is why START developed a program, called Teen START, which focuses on helping adolescents stay clear of the cycle of drug addiction. Like many other grandparents caring for their grandchildren, Hudson turned to a support group — in her case, the Grandparent2Grandparent Facebook group. She is thankful that she has not had to deal with as many “horror stories” as other parents. BackgroundKetamine has been demonstrated to improve depressive symptoms. AimsEvaluation of efficacy, safety and feasibility of repeated oral ketamine for out-patients with treatment-resistant depression (TRD). MethodIn a randomised, double-blind, placebo-controlled, proof-of-concept trial, 41 participants received either 1 mg/kg oral ketamine or placebo thrice weekly for 21 days (ClinicalTrials.gov Identifier: NCT02037503). Evaluation was performed at baseline, 40 and 240 min post administration and on days 3, 7, 14 and 21. The main outcome measure was change in Montgomery–Åsberg Depression Rating Scale (MADRS). ResultsTwenty-two participants were randomised to the ketamine group, and 19 to the control, with 82.5% (n = 33) completing the study. In the ketamine group, a decrease in depressive symptoms was evident at all time points, whereas in the control group a decrease was evident only 40 min post administration. The reduction in MADRS score on day 21 was 12.75 in the ketamine group versus 2.49 points with placebo (P < 0.001). Six participants in the ketamine group (27.3%) achieved remission compared with none of the controls (P < 0.05). The number needed to treat for remission was 3.7. Side-effects were mild and transient. ConclusionsRepeated oral ketamine produced rapid and persistent amelioration of depressive symptoms in out-patients with TRD, and was well tolerated. These results suggest that add-on oral ketamine may hold significant promise in the care of patients suffering from TRD in the community. Repeated oral ketamine produced rapid and persistent improvement of depressive symptoms in a small sample of outpatients with treatment-resistant depression who continued their usual treatment, according to a proof-of-concept study published in The British Journal of Psychiatry. The results also showed that repeated oral ketamine was well tolerated among these participants in a community setting. Though previous study has examined IV and intranasal ketamine for treatment-resistant depression, research on oral ketamine is lacking. Therefore, the investigators conducted a randomized, placebo-controlled, proof-of-concept trial to determine the efficacy, safety and feasibility of add-on repeated oral ketamine for outpatients with treatment-resistant depression. The researchers randomly allocated 41 participants to receive either 1 mg/kg oral ketamine or placebo three times a week for 21 days. All participants were instructed to continue taking their usual prescribed care. Patients were assessed at baseline, 40 minutes and 240 minutes after administration and on days 3, 7, 14 and 21 to measure change in Montgomery–Åsberg Depression Rating Scale (MADRS) scores. Of 22 participants who received treatment with ketamine and 19 who received placebo (control group), 33 patients completed the study. Among those receiving ketamine, Domany and colleagues observed a reduction in depressive symptoms between baseline and all other time points (P < .005), including day 21. In the control group, there was also a decrease in symptoms, but only at 40 minutes after initial administration (P < .05). 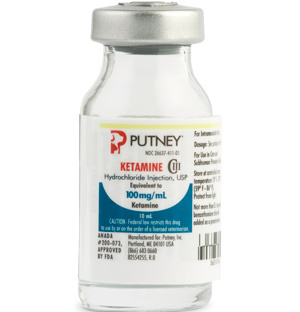 At the endpoint (day 21), the reduction in MADRS score was 12.75 among those receiving ketamine compared with 2.49 points among those receiving placebo (P < .001). The researchers reported that 27.3% of the ketamine group (n = 6) achieved remission as opposed to none in the control group (P < .05) at day 21. Adverse effects were mild and transient, according to the safety analysis. Common adverse effects included increased systolic blood pressure, euphoria, dizziness and drowsiness after initial administration, all of which resolved within 1 hour. Follow-up safety evaluation at day 28 showed a maintained effect on MADRS scores in the ketamine group. Researchers observed no long-term adverse effects in a small sample of patients with severe and treatment-resistant mood disorders who received ketamine infusions as clinical treatment. Although the response and remission rates after a four-infusion protocol were lower than those reported in most clinical trials, the small size and racial homogeneity of the study population limit the generalizability of these findings, according to data published in Journal of Clinical Psychiatry. “Ketamine is being used as an off-label treatment for depression by an increasing number of providers, yet there is very little long-term data on patients who have received ketamine for more than just a few weeks,” Samuel T. Wilkinson, MD, from the department of psychiatry, Yale School of Medicine and Yale Psychiatric Hospital, told Healio Psychiatry. “Controversy remains about whether ketamine should be used outside of research protocols due to concerns regarding potential negative clinical outcomes for repeated use, including impaired cognition, delusions and interstitial cystitis,” Wilkinson and colleagues wrote in their article. Ketamine treatments were given in an electroconvulsive therapy suite. In late 2014, Yale began providing ketamine as an off-label therapy on a case-by-case basis for patients who could not participate in research protocols. In the current article, the authors assessed the participants’ experience over 29 months of providing ketamine as a clinical treatment for severe and treatment-resistant mood disorders. At first, patients received a single- or double-infusion protocol (0.5 mg/kg over 40 minutes IV); but in early 2015, the researchers transitioned to a four-dose protocol over 2 weeks based on emerging evidence supporting the safety of a multiple-infusion protocol. They tracked symptom severity and set cognitive assessments at baseline and after every 6 to 12 treatments. From October 2014 through February 2017, 54 patients received ketamine, with 518 total infusions performed. Ketamine infusions given at 0.5 mg/kg over 40 minutes were well-tolerated. Two patients discontinued treatment prematurely: one for intolerable dissociative effects and one for transient hypertension. In the subset of 44 patients with mood disorders who began the four-infusion protocol, 45.5% responded and 27.3% remitted by the fourth infusion, which were lower rates than those reported in most previous clinical trials, according to the authors. Patients showed a significant reduction in symptoms over time. The overall mean score, as measured by the Quick Inventory of Depressive Symptomatology (Self-Report), dropped by 37.9% and the overall mean depression score dropped by 37.8%. In a subsample of 14 patients who received long-term ketamine infusions ranging from 12 to 45 total treatments over a course of 14 to 126 weeks, there was no evidence of cognitive decline, increased inclination for delusions or emerging symptoms consistent with cystitis. “There remains an urgent need for more powerful and comprehensive long-term safety data on ketamine from much larger samples,” Wilkinson and colleagues wrote. People can have allergic reactions triggered by marijuana, just as they can with many other plants and pollens. Symptoms can vary from mild to severe. In recent years, there seems to have been an increase in the number of reports of marijuana allergies. This may be because marijuana, or cannabis, is becoming more popular as a medicinal treatment for a range of conditions. Some states have also legalized the drug for recreational use. Cannabidiol, or CBD oil, can also cause negative reactions in some people. Read on to learn more about the causes and symptoms of marijuana allergies, and the possible effects of CBD oil. A marijuana allergy may be triggered by eating, smoking, or touching the plant or its products. More than 50 million Americans have allergies. While marijuana may have some medical benefits, marijuana pollen can trigger allergy symptoms in some people. Research published in 2013 suggests a particular strain of cannabis called Cannabis sativa may be especially irritating. A recent small-scale study from 2018 reports that people are more likely to have a cannabis allergy if they have allergies to cat dander, molds, dust mites, or plants. More research is needed, however, to establish this possible link. 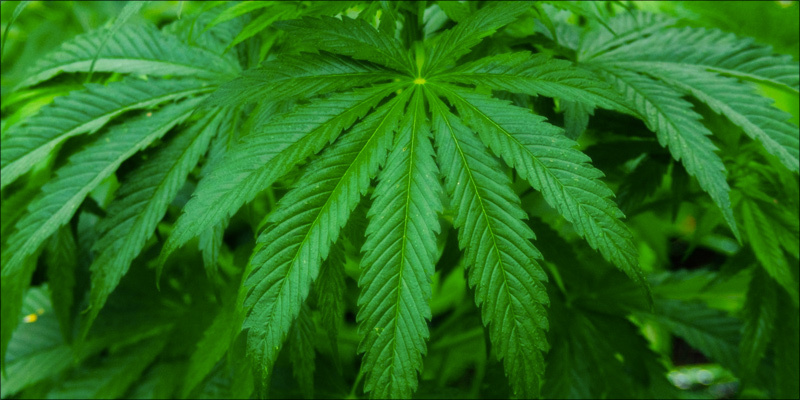 Symptoms of marijuana allergies can come on immediately after exposure to the plant, although, in other cases, they may not begin for an hour or more. To stop symptoms from getting worse, a person who notices these effects should immediately stop touching or smoking the drug. 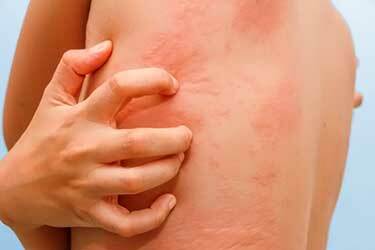 Less commonly, marijuana can cause a severe allergic reaction called anaphylaxis. This condition can be life-threatening and occurs within seconds or minutes of exposure to an allergen. Anaphylaxis can result in a coma or death, so it is essential to get emergency medical attention if this reaction is suspected. A marijuana allergy can be linked to cross-reactivity with other allergens, including certain foods. Along with anaphylaxis, the main risks linked to a marijuana allergy are that it may be linked to cross-reactivity with other allergens. Cross-reactivity happens when the proteins, such as pollen, in the marijuana plant resemble the proteins in another plant. An allergic reaction may then occur when a person comes into contact with similar proteins elsewhere. Doctors diagnose marijuana allergies in the same way as other types of allergies, by using skin tests or blood tests. A doctor will first take a person’s medical history and perform a physical examination. They may then use a skin prick test. This test is not very invasive, and the results come back quickly. In a skin prick test, the doctor will apply a diluted allergen, such as marijuana, to the skin’s surface with a needle. If a red bump or wheal, itching, and redness develop in that area within 15 minutes, a person may be allergic to that substance. A doctor may also use an intradermal test. This test involves using a thin needle to inject a diluted allergen just below the skin’s surface. Blood tests are another way of checking for marijuana allergies. A sample of blood is drawn and tested for the presence of antibodies to marijuana. If a person has more antibodies in the blood than expected, they are more likely to be allergic to marijuana. Blood tests may be better than skin prick tests in some cases because they involve a single needle prick. They are also less likely to be affected by any other medications. However, the results take longer to come back, and the tests are more expensive than skin tests. At present, no treatment is available for a marijuana allergy. A person can take antihistamines to manage symptoms and reduce discomfort. For some types of pollen allergy, a course of allergy shots is prescribed to reduce a person’s sensitization to the substance. But these are not currently available for marijuana pollen. Because of the lack of treatment options, those who are allergic to marijuana should avoid smoking, eating, or touching the plant or the drug to prevent allergy symptoms. If a person has a severe allergy to marijuana, they should carry an epinephrine injection (Adrenaclick, Epipen, or others) in case of accidental exposure and subsequent anaphylaxis. Wearing protective layers may help to prevent an allergic reaction when handling marijuana. Avoiding exposure to marijuana is the only way to prevent an allergic reaction to the plant or drug. A person who is using medical marijuana and suspects that they may be allergic to it should speak with their doctor to find an alternative treatment. 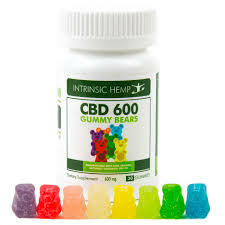 Cannabidiol (CBD) is a substance that comes from the marijuana plant. Medicinal uses include treating some seizure disorders. In contrast, CBD may have antipsychotic and anti-inflammatory properties. The United States Food and Drug Administration (FDA) has only approved one CBD-based drug, Epidiolex. This prescription-only treatment can help people who have two types of rare and severe epilepsy. The drug received approval in June 2018. For most uses, research has not yet confirmed how safe and effective CBD- or marijuana-based products are, and there are no regulations controlling the production or sale of CBD oil and other marijuana products. Some CBD products contain THC, but it is not always clear how much, even when there is a label. For this reason, most consumers do not know how safe their CBD oil is, especially when used in high quantities. A 2011 review of previous studies on CBD oil reports conflicting findings. The researchers suggest that, while long-term use and high doses up to 1,500 milligrams a day may be well tolerated by people, some adverse reactions have been observed. A 2017 study recommends more research be carried out on the effect of CBD on certain enzymes, drug transporters, and the effects of other drugs. Some people use CBD oil as a topical treatment for skin disorders or neurological pain. A person should try applying a small amount of the oil first, to ensure they will not experience an unwanted reaction. In addition to Epidiolex, the FDA have also approved three drugs that contain a synthetic form of THC. Marinol and Syndros treat the severe weight loss that can occur with AIDS. Cesamet can help prevent nausea and vomiting in people who are undergoing chemotherapy for cancer. As with other medications, it is possible to experience an allergic reaction to Epidiolex, Marinol, Syndros, and Cesamet. Most people with marijuana allergy symptoms have a mild to a moderate reaction that is similar to seasonal allergy conditions. Skin reactions may also be experienced. When a person avoids the drug and its pollen, their symptoms will resolve quickly. Those who are severely allergic to marijuana should seek medical treatment. Also, they should carry medications to react quickly to accidental exposure to the drug. People take or apply cannabidiol to treat a variety of symptoms, but its use is controversial. There is some confusion about what it is and how it affects the human body. This article will explain what CBD is, its possible health benefits, how to use it, potential risks, and issues surrounding its legality in the United States. In June 2018, the country’s Food and Drug Administration (FDA) approved the prescription use of Epidiolex, a purified form of CBD oil, for treating two types of epilepsy. CBD is one of many compounds, known as cannabinoids, in the cannabis plant. Researchers have been looking at the possible therapeutic uses of CBD. CBD oils are oils that contain concentrations of CBD. The concentrations and the uses of these oils vary. CBD oil may have a number of health benefits. This is the most active ingredient in marijuana. THC creates a mind-altering “high” when a person smokes it or uses it in cooking. This is because THC breaks down when we apply heat and introduce it into the body. CBD is different. Unlike THC, it is not psychoactive. This means that CBD does not change a person’s state of mind when they use it. Some promising evidence suggests that CBD use may help people to quit smoking. A pilot study published in Addictive Behaviors found that smokers who used inhalers containing CBD smoked fewer cigarettes than usual and had no further cravings for nicotine. After researching the safety and effectiveness of CBD oil for treating epilepsy, the FDA approved the use of CBD (Epidiolex) as a therapy for two rare conditions characterized by epileptic seizures in 2018. Findings suggested that CBD may also treat many complications linked to epilepsy, such as neurodegeneration, neuronal injury, and psychiatric diseases. Another study, published in Current Pharmaceutical Design, found that CBD may produce effects similar to those of certain antipsychotic drugs, and that the compound may provide a safe and effective treatment for people with schizophrenia. However, further research is necessary. The researchers also noted that the compound tends to suppress the growth of cancer cells and promote their destruction. They pointed out that CBD has low levels of toxicity. They called for further research into its potential as an accompaniment to standard cancer treatments. Initial research published in the Journal of Alzheimer’s Disease found that CBD was able to prevent the development of social recognition deficit in participants. This means that CBD could help people in the early stages of Alzheimer’s to keep the ability to recognize the faces of people that they know. This is the first evidence that CBD may slow the progression of Alzheimer’s disease. Patients will receive the medication in a reliable dosage. CBD is just one of may compounds in marijuana, and it is not psychoactive. Smoking cannabis is not the same as using CBD oil. Using CBD oil is not the same as using or smoking whole cannabis. CBD-based products come in many forms. Some can be mixed into different foods or drinks or taken with a pipette or dropper. Several CBD oils with different applications are available to purchase online. Effects of cannabidiol plus naltrexone on motivation and ethanol consumption. The aim of this study was to explore if the administration of naltrexone together with cannabidiol (CBD) may improve the efficacy in reducing alcohol consumption and motivation rather than any of the drugs given separately. The effects of low doses of naltrexone (0.7 mg·kg , p.o.) and/or CBD (20 mg·kg ·day , s.c.) on ethanol consumption and motivation to drink were evaluated in the oral-ethanol self-administration paradigm in C57BL/6 mice. Gene expression analyses of the opioid μ receptor (Oprm1) in the nucleus accumbens (NAc), tyrosine hydroxylase (TH) in the ventral tegmental area (VTA) and the 5-HT receptor in the dorsal raphe nucleus (DR) were carried out by real-time PCR. The role of 5-HT receptors in the ethanol reduction induced by the administration of CBD + naltrexone was analysed by using the 5-HT receptor antagonist WAY100635 (0.3 mg·kg , i.p.). The administration of CBD + naltrexone significantly reduced motivation and ethanol intake in the oral self-administration procedure in a greater proportion than the drugs given alone. Only the combination of both drugs significantly reduced Oprm1, TH and 5-HT gene expressions in the NAc, VTA and DR respectively. Interestingly, the administration of WAY100635 significantly blocked the actions of CBD + naltrexone but had no effects by itself. The combination of low doses of CBD plus naltrexone were more effective than either CBD or naltrexone alone at reducing ethanol consumption and the motivation to drink. These effects appear to be mediated, at least in part, by 5-HT receptors. Psychosocial interventions are the first-line for the treatment of cannabis use disorder. The most effective available treatments are cognitive–behavioral therapy and motivational enhancement therapy, with greater benefits found when combining approaches. Adding contingency management to these interventions can provide further benefit. There is no pharmacotherapy approved for the treatment of cannabis use disorder. Cannabinoid analogues and gabapentin have been tested with preliminarily positive results. Further research is warranted to clarify the potential role of these medications. Cannabinoid potentiation of glycine receptors contributes to cannabis-induced analgesia. Cannabinoids enhance the function of glycine receptors (GlyRs). However, little is known about the mechanisms and behavioral implication of cannabinoid-GlyR interaction. Using mutagenesis and NMR analysis, we have identified a serine at 296 in the GlyR protein critical for the potentiation of I(Gly) by Δ(9)-tetrahydrocannabinol (THC), a major psychoactive component of marijuana. The polarity of the amino acid residue at 296 and the hydroxyl groups of THC are critical for THC potentiation. Removal of the hydroxyl groups of THC results in a compound that does not affect I(Gly) when applied alone but selectively antagonizes cannabinoid-induced potentiating effect on I(Gly) and analgesic effect in a tail-flick test in mice. The cannabinoid-induced analgesia is absent in mice lacking α3GlyRs but not in those lacking CB1 and CB2 receptors. These findings reveal a new mechanism underlying cannabinoid potentiation of GlyRs, which could contribute to some of the cannabis-induced analgesic and therapeutic effects. K2 or Spice products are emerging drugs of abuse that contain synthetic cannabinoids (SCBs). Although assumed by many teens and first time drug users to be a “safe” and “legal” alternative to marijuana, many recent reports indicate that SCBs present in K2 produce toxicity not associated with the primary psychoactive component of marijuana, ∆(9)-tetrahydrocannabinol (Δ(9)-THC). This mini-review will summarize recent evidence that use of K2 products poses greater health risks relative to marijuana, and suggest that distinct pharmacological properties and metabolism of SCBs relative to Δ(9)-THC may contribute to the observed toxicity. Studies reviewed will indicate that in contrast to partial agonist properties of Δ(9)-THC typically observed in vitro, SCBs in K2 products act as full cannabinoid receptor type 1 (CB1R) and type 2 (CB2R) agonists in both cellular assays and animal studies. Furthermore, unlike Δ(9)-THC metabolism, several SCB metabolites retain high affinity for, and exhibit a range of intrinsic activities at, CB1 and CB2Rs. Finally, several reports indicate that although quasi-legal SCBs initially evaded detection and legal consequences, these presumed “advantages” have been limited by new legislation and development of product and human testing capabilities. Collectively, evidence reported in this mini-review suggests that K2 products are neither safe nor legal alternatives to marijuana. Instead, enhanced toxicity of K2 products relative to marijuana, perhaps resulting from the combined actions of a complex mixture of different SCBs present and their active metabolites that retain high affinity for CB1 and CB2Rs, highlights the inherent danger that may accompany use of these substances. Article regarding health aspects and risk of THC and CBD. Now that nine states and the District of Columbia have legalized recreational marijuana, and with many other states with varying latitudes of access, cannabis has gotten a whole lot more sophisticated. And the beauty business is not about to miss out. Cannabis-derived ingredients feel trendy, and they may well offer a raft of possible benefits, which beauty brands are quick to tout. CBD oil, specifically, is nonpsychoactive (it won’t get you high) and is said to offer relief from pain, anxiety and depression, stimulate appetite and have anti-inflammatory and anti-acne properties. Cannabis products also nod to enthusiasms that have already gained momentum in the beauty industry, like ingestibles (CBD-infused gummies, caramels and drops) and wellness (CBD lotions to relieve soreness from new year workouts). There are already devout fans, some boldfaced, who are drawn to CBD topical products largely for their pain-relieving properties. Olivia Wilderecently told this reporter that she used it to relieve physical aches during a Broadway run. The fashion stylist Karla Welch, who works with Ms. Wilde, Ruth Negga, Katy Perry and Sarah Paulson, uses Lord Jones CBD lotion on her clients’ feet when they walk the red carpet. From left, Vertly, Lord Jones and Khus & Khus CBD products. Lord Jones, which is based in Los Angeles, is not the only brand to market a pain-relieving CBD body lotion, but it is one of the chicest. Founded in 2016 by Robert Rosenheck, who has a branding background, and his wife, Cindy Capobianco, who has led public relations for Banana Republic and marketing for Gap, it is a leader in a movement to make marijuana more attractive to a mainstream audience. The packaging, with a baronial crest and gold accents, would look at home in a fashionable department store. That celebrities use the products adds additional cachet. “The closer we get to de-stigmatizing cannabis, the better it is for all,” Ms. Capobianco said. That sentiment is shared by upstarts including Cannuka, a line of topical products containing CBD and manuka honey; Khus & Khus, a skin- and body-care line by the ayurvedic specialist Kristi Blustein; and Vertly, a line of lip balm by Claudia Mata, a former W magazine accessories editor, which is introducing body care this year. And beauty lines, including Malin & Goetz and Boy Smells, make reference to cannabis in their products purely for the scent. But looks are one thing, efficacy is another. As CBD oil seeks to go mainstream, it’s tough to tell which products hold up to scrutiny. “I get sent a million different brands saying they have CBD, and the stuff doesn’t work,” Ms. Richards said. There are studies, she said, showing that for pain relief, CBD works best within the plant’s cannabinoid system, meaning that combinations of compounds are more effective than isolated ones. That’s termed the “entourage effect,” and Lord Jones, for one, has sought to compensate for it by using CBD rendered from the entire hemp plant. “We’ve found CBD isolate, or crystals of pure CBD, to not work,” Ms. Capobianco said. Speaking of hemp, there’s debate there, too. Hemp is a type of cannabis that has had the THC largely bred out of it. It’s legal across state lines, so only CBD derived from hemp can be distributed nationally. There is a lot less CBD and other cannabinoids in hemp than in cannabis strains that contain THC. “The reality is that the levels of active ingredient in hemp are so low that, though CBD definitely offers benefits, there might not be a wake-up-and-feel-it moment,” Ms. von Pfetten said. None of that is stopping companies from expanding beyond wellness into skin care. Lord Jones is introducing a face care line based on CBD early this year. Ildi Pekar, a facialist in Manhattan who has tended to Miranda Kerr and Irina Shayk, said that sales of her CBD facial oil are up and she plans on investing more in the ingredient, which she calls “the argan oil of the future.” Both cite reports that say CBD has anti-inflammatory qualities when applied topically. But Shereene Idriss, a dermatologist in Manhattan, said that those papers are vague. “There was one study in 2014 that said CBD can help reduce oil production and thereby have anti-acne and anti-inflammatory attributes,” Dr. Idriss said. “It wasn’t a perfectly well-rounded study, but it does have merit.” The other study, from 2017, addressed cannabinoids in dermatology in general, including THC, but didn’t deal with risks. “I would need more, a randomized clinical trial, before I could with full-fledged belief recommend CBD oil as something more than just offering regular hydration,” she said. If you’re using CBD lotions for pain relief, Dr. Idriss said, there are better studies demonstrating efficacy but that more needs to be done. When it comes to bona fide peanut allergy, all reputable studies peg the prevalence at only 0.6-1% of the population. 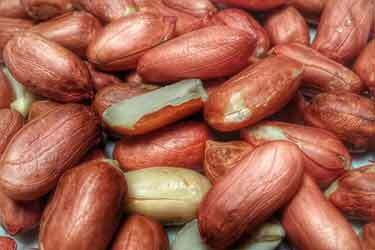 The superfood known as jungle peanuts (which is the same species) falls within that category, too. Admittedly that rate could be underestimated, but even if you tripled or quadrupled it, you’re still talking about only 1 out of 25 people who have a problem with this legume (yes, peanuts are actually a legume and not a nut). Whatever the case, it’s definitely a low number. Yet it seems like half the people you meet claim to be allergic to peanuts. But when it comes to hemp hearts, you never hear anyone claim that. Literally, never. Is there hypocrisy going on here? Can you be allergic to hemp seeds, milk, or oil? While peanuts may be exaggerated, the opposite problem seems to be happening with the hemp protein allergy. First of all, what is a food allergy anyway? It’s an autoimmune response to a protein/pollen in something you eat. Your body misidentifies a harmless substance as a threat and goes berserk trying to stop it. How berserk (or not) the reaction is can vary greatly. For some, it may be side effects which are more of a nuisance. 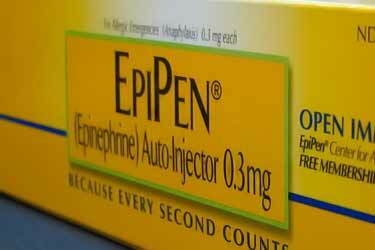 For others, it could lead to life threatening anaphylactic shock. In theory at least, you could be allergic to any food. However because it is the proteins and pollen which we are allergic to, those foods with the highest amounts have become the focus versus something like an apple. It’s possible to be allergic to an apple, but it has no pollen and so little protein content, any reaction may be too muted to even be detectable. Now hemp is a rich source of protein, so on that basis alone, it deserves the same scrutiny as other seeds, nuts, grains, milk and eggs. Because if you are allergic to hemp, you’re consuming a lot of that plant’s protein whenever you eat it. There are 10 grams of protein per 170 calorie serving. 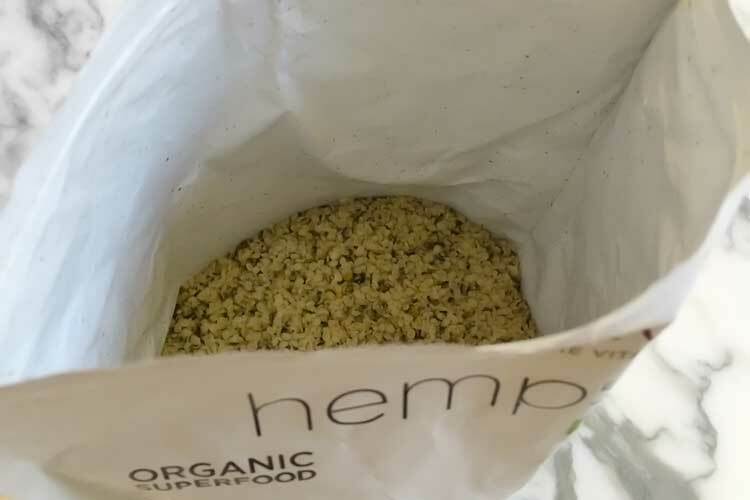 That’s 1 ounce of hemp hearts, which is about 3 tablespoons worth. That’s an even higher amount of protein than what’s found in peanuts – 8 grams for the same weight – so it definitely warrants investigation. Plus, hemp comes from an extra-allergen part of the Cannabis sativa plant; the flowering buds atop the plant. That means they come in contact with pollen. The drug marijuana also comes from the same Cannabis sativa species, as well as the same part of the plant (the bud). The difference is that those are bred to have THC content of 10% or more, while the edible form has 0.3% or less. That’s why selling seeds as food is 100% legal, so long as they come from the industrial version of the plant versus the drug version. This topic didn’t come up randomly. Rather, it was because one person at Superfoodly has experienced hemp allergy symptoms as “as long as I can remember” whenever he ate the seeds. The reaction is by no means severe, but it’s the exact same symptom – in a much milder version – as what happens if he eats a cashew. That’s a tree nut he’s highly allergic to. A specific area in his throat under his Adam’s apple would become itchy and also trigger asthmatic symptoms. He does have asthma regardless, but only cashews would cause that specific area in his throat to react. Not his asthma or any other foods could cause that type of reaction… until hemp came along. He says the adverse reaction from hemp is a far cry from the magnitude experienced with cashews. Those are a definite allergen for him; medically diagnosed with testing and obviously apparent. With hemp, the itchy and asthmatic side effects are not enough for him to forego it completely. However he does minimize consumption and stays away from concentrated sources, like hemp protein and heaping raw hulled hearts on oatmeal or salads. 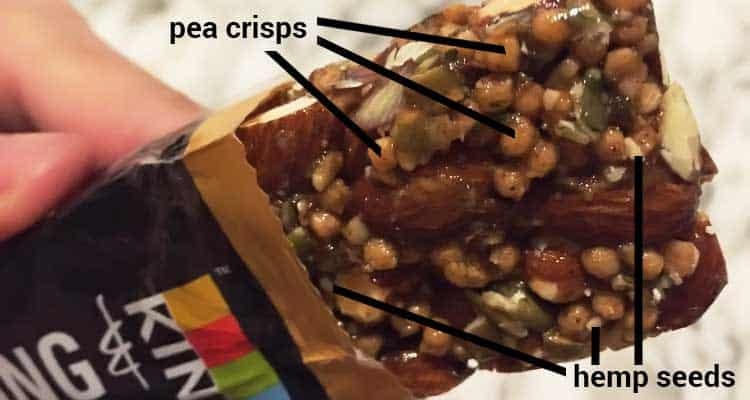 For most processed products – like the Kind protein bar pictured above – they love to hype up the hemp it contains, but in reality it’s very little. Those balls which many people assume are seeds actually are “pea crisp” (pea protein isolate, rice flour, rice starch). It seems that the Kind Strong bars sprinkle the seeds in there more for marketing purposes, rather than as a primary ingredient. He still eats products like that on occasion, usually with no noticeable reaction. Is there an allergy test for hemp seeds? A standardized extract for doctors to use “off the shelf” doesn’t exist. You definitely won’t find it within a standard skin prick panel, which tests up to 40 of the more common allergens at once, such as peanuts and cat dander. Some websites promoting the plant claim that allergies to hemp do not exist. In a 2015 edition of the Annals of Allergy, Asthma and Immunology, they published a piece of research titled: Cannabis sativa: the unconventional “weed” allergen (1). So there you have it… not only does it exist, but researchers have even been able to hone in on exactly what compounds in the plant are responsible. Which parts are most allergic? While you can be allergic to any part of a plant, as mentioned the worst offenders tend to be the parts which have the most protein and/or pollen. Since the seeds check both of those boxes, they are a prime culprit. 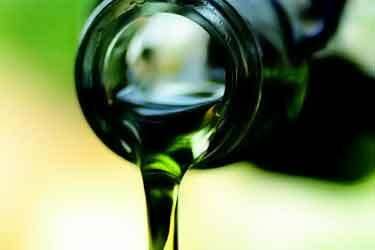 Hemp oil allergies would be unlikely – refined oil is 100% fat, which is not an allergen. It would be the 0.01% or less of other stuff contaminating it that you could have a reaction too… which is an exponentially lower concentration than what you get when you eat the seeds! If you know someone who eats the hearts without problem, but claims to be allergic to hemp oil… to be frank, they’re probably delusional. At least if you’re talking about the typical food grade oil that’s refined and sold in a bottle. Being allergic to hemp lotion and experiencing hives isn’t that unusual of complaint. If unrefined oil (or lightly refined) is used in skin care products, then it would contain more of the problematic compounds. However, a hives reaction is more likely caused by one or more of the other ingredients in the lotion. What is hemp milk made from? The hearts are ground to a fine powder and diluted with water. Any chunky residue is then strained, leaving you with a plant-based milk. For that reason, having a hemp milk allergy would be expected if you have reactions from eating the seed. Can you be allergic to marijuana? Absolutely. It too comes from the flowering buds of the plant, albeit the THC-rich version of it. Furthermore, it may even be worse than food sources. THC is called out first on the list of potential allergens. The edible seeds contain at least 97% less THC. Often there’s none at all, since they have been rinsed and processed. 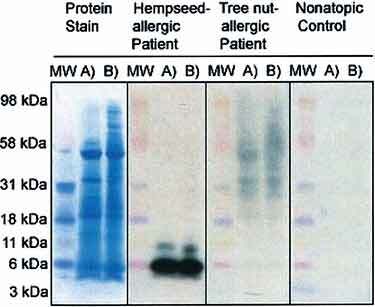 Immunoblotting showing IgE binding to a 6-kd protein in the extract of raw hulled and roasted unhulled hempseed, which was consumed by a patient who experienced anaphylactic shock. It might not be as rare as people make it out to be. Before even getting into the science, we can tell you that since first reporting on this, we have received an overwhelming number of comments from people who either suffered a reaction themselves or had someone close to them experience it. Sure, some cases may be circumstantial, but many sound like they legitimately have reason to be confident that it was the hemp which caused it. Considering the increased legalization of marijuana as a recreational drug, as well as the “new” found use of it as a food source, within two to three decades it may very well become a major food allergen in the same league as tree nuts and other common culprits. How about all of us who do not smoke pot and only eat hemp seed, do we have anything to worry about? Even in the United States, environmental exposure of pollen does occur, especially in more rural areas where the plant may still be found growing wild. Until it became illegal, marijuana grew freely throughout the country. 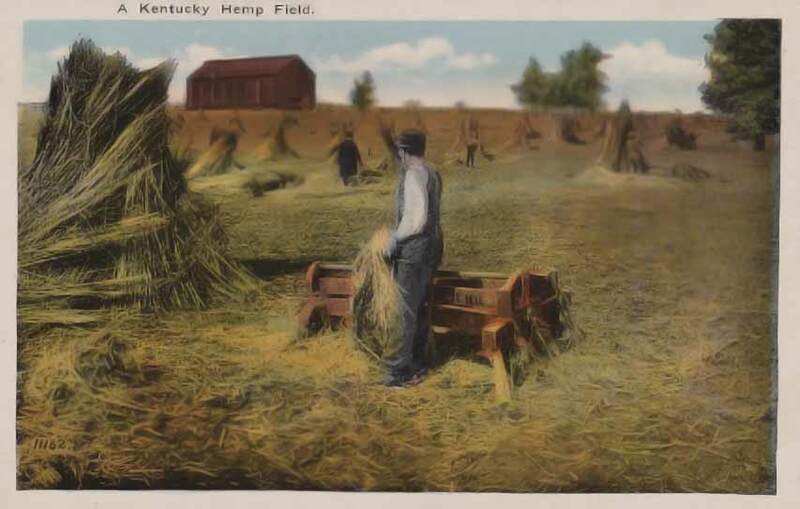 The antique postcard pictured above shows a field of it growing in Kentucky, but that was back when a stamp costed a penny. In a 1983 study, an allergy doctor practicing in Arizona and New Mexico tested 129 patients by skin for both marijuana pollen and tobacco leaf (5). The results? 250% higher rate of allergic reactions to marijuana pollen versus tobacco (63 and 18 patients, respectively). A 2009 study done in India found that 8.3% of patients who had a nasobronchial allergy tested positive in a cannabis skin prick test (6). That was more than double the rate for animal dander at 3.1%, but inline with pollens overall at 7.8%. Worse yet, if one develops an allergy to the cannabis plant, there is evidence to suggest that it might lead to cross-reactivity and the development of other food allergies. Giving up this plant as a dietary source would be no problem for most people. But how tragic would it be if it led to cross-reactivity with tomato, triggering an allergy to that too? Some of us here at Superfoodly would rather die than give up pizza for the rest of our lives! The evidence seems to suggest the bigger problem may be for the people who are smoking it, not eating it. It appears the smokers are the ones who are developing higher rates of being allergic to the plant. For those who only eat hemp seeds and/or are environmentally exposed to the plant’s pollen in the air, the prevalence of problematic side effects seems to be quite minimal. Since not many people experience any noticeable side effects from eating hemp – yet they do with marijuana such as blood shot eyes – the conclusion may be that it is actually the THC which is the most problematic allergen in the plant. As it is the THC content which is the major difference between the food and the drug. Sure, one is being ingested while the other is typically being smoked, but even pot brownies are known to cause bloodshot eyes… which reinforces the THC hypothesis. If you think you have reactions from eating the seeds, then compare hemp vs. whey vs. pea vs. rice. vs. pumpkin protein. Maybe one of those others is a better fit for you. As far as alternatives nuts and seeds to use on your food, it’s hard to beat the health benefits of pistachios which most people don’t know about. Cannabis sativa the unconventional weed allergen. Many of our patients have called in asking about cannabinoid hyperemesis syndrome (CHS), as this syndrome has been reported in the media numerous times over the past few months. This is a very rare syndrome that occurs in long-term heavy users of THC-rich cannabis. CHS was first reported in the medical literature in 2004. Symptoms include nausea, vomiting and abdominal pain. CHS occurs episodically or cyclically, meaning that the symptoms occur, then resolve, then come back again and so on, over and over. More than 90% of cannabis users who experience these symptoms also have a compulsion to bathe in hot water during the episode, reporting that it alleviates the discomfort. This compulsion is often what helps doctors and patients figure out that CHS is what’s happening as it is often confused with other diagnoses such as stomach flu, inflammation of the gallbladder, and appendicitis (where there is no compulsion to bathe in hot water). People suffering from CHS will seek help at the ER and because they are reluctant to tell the doctor about their cannabis use, they go undiagnosed. Abstinence from THC-rich cannabis resolves the condition. Some CHSsufferers are able to re-introduce THC in very low doses without a return of symptoms, but other find that they can no longer tolerate THC. It is unknown why some cannabis users experience this syndrome. It has been theorized that overuse of THC can make some people’s cannabinoid receptors act paradoxically (opposite) of how they are supposed to act. For example, we know that THC is quite effective for stopping nausea and vomiting because THC binds to the receptors on cells located in the part of the brain that control these symptoms. Once THC binds to the receptor, a chemical reaction takes place, telling the cells to stop sending the nausea/vomiting message. But in CHS, THC causes the opposite effect, increasing nausea and vomiting. It’s likely that some people are predisposed to this paradoxical reaction because only a very small percentage of people who overuse THC get this syndrome. Medical cannabis patients usually figure out that overuse of THC-rich cannabis is not effective in treating their medical conditions, as tolerance develops if too much THC is used. Tolerance can lead to loss of therapeutic effects. Low doses used intermittently work quite well for most. Daily users of low dose THC are unlikely to develop CHS. Including CBD, and/or the raw unheated cannabinoids (THCA and CBDA), in a cannabis treatment regimen is likely to increase the effectiveness and decrease risk of any unwanted side effects, including CHS. In my experience, medical cannabis patients that are thoughtful in their use of THC-rich medicine are at very low risk for developing CHS. I have seen only two cases of CHS in the last decade of practice. That being said, CHS is quite easy to avoid if you are thoughtful about your use of THC and make sure to not over do it. Globally, marijuana is the most commonly used illicit drug. Classified as a Schedule 1 controlled substance, marijuana is a mood-altering drug that affects almost every organ in the body. In 2017, 6 percent or about 1 in 16 high school seniors in the United States reported using marijuana (cannabis) every day. The number of 12th graders who think marijuana use is risky has halved in the last 20 years. According to the 2013 National Survey on Drug Use and Health (NSDUH), 19.8 million, or 80.6 percent of people who used illicit drugs in the U.S. used marijuana in the month before being surveyed. People can smoke marijuana, inhale it through vapor, brew it as a tea, apply it as a balm, or eat it in products, such as brownies or chocolate bars. Some people use medical marijuana to treat chronic pain, muscle spasticity, anorexia, nausea, and sleep disturbances. Medical marijuana refers to either whole marijuana or its ingredients, such as cannabidiol (CBD), which forms the base of a limited number of approved medications. Medical marijuana is not subject to governmental standardization, making its ingredients and potency unknown. It is not legal in all states. The primary psychoactive ingredient in marijuana is delta-9-tetrahydro-cannabidinol (THC). Marijuana contains more than 120 compounds, which are likely to have different properties. The effects of recreational marijuana use include lightheadedness, a feeling of relaxation, increased appetite, and reduced blood pressure. Marijuana comes from the Cannabis sativa plant. Marijuana comes from the dried flowering tops, leaves, stems, and seeds of the Cannabis sativa(hemp) plant. Find Treatment Info For Low Testosterone Due To Certain Medical Conditions. Humans have used marijuana for hundreds of years for fiber (hemp), seed oils, seed, medical treatment, and recreationally. There is some evidence that marijuana or some of its components — such as CBD — may be useful for relieving severe pain, inflammation, nausea, and chronic conditions. However, CBD is just one of at least 120 substances (cannabinoids) found in marijuana. People have many health concerns about the use of the drug. Another primary component of marijuana is delta-9-tetrahydrocannabinol (THC). THC is the key mind-altering (psychoactive) substance in marijuana. It acts on specific brain receptors, causing possible mood changes, depression, suicidal thinking, memory issues, and disruption to normal learning abilities. It may also produce dependency. Marijuana has many effects on the mind and body. The effects of the 120-plus cannabinoidspresent in cannabis are mostly unknown, but the most potent psychoactive agent identified to date is THC. When a person smokes cannabis, THC is quickly absorbed into the bloodstream, reaching the brain within minutes. The body absorbs THC more slowly when it is eaten, delaying the onset of action for up to 2 hours and prolonging the duration of the effect. THC and other cannabinoids in marijuana are similar to cannabinoids produced by the body. These natural cannabinoids act like neurotransmitters that send chemical messages between nerve cells (neurons) throughout the nervous system. These neurotransmitters affect brain areas involved in memory, thinking, concentration, movement, coordination, sensory and time perception, as well as pleasure. The receptors that respond to these cannabinoids also react to THC, which can alter and disrupt normal brain function. Some studies have shown that THC affects areas of the brain that control memory creation and attention. It also disrupts other parts of the brain, adversely affecting balance, posture, coordination, and reaction time. This can make it unsafe for a person using marijuana to drive a car, operate heavy machinery, or engage in sports or other potentially dangerous physical activities. THC also stimulates specific cannabinoid receptors that increase the release of dopamine, a neurotransmitter related to feelings of pleasure. People use marijuana to achieve a feeling of elation (a high), giddiness, and relaxation. Marijuana also produces sensory perception changes; colors may seem brighter, music more vivid, and emotions more profound. Some people experience feelings of paranoia. Depending on the length and amount of use, some traces of THC might still be present in a person’s urine for several months after they last used marijuana. 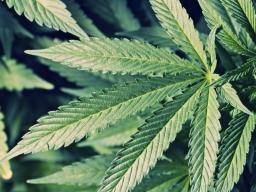 People who use marijuana may be more likely to die from high blood pressure than non-users. Impairment of judgment: A study in the BMJ found that a person is significantly more likely to crash their car if they drive within 3 hours of smoking marijuana. Reproductive issues: According to a review of animal studies, cannabis use might lead to sexual dysfunction. Immune response: According to one study, smoking marijuana could eventually suppress the body’s immune system, making the user more susceptible to certain types of cancer and infections. Psychosis: Research carried out on siblings suggested that long-term marijuana use could increase the risk of developing psychosis in young adults. Gum disease risk: One study indicated that smoking cannabis increases the risk of developing gum disease, regardless of whether the user smokes tobacco. Reduced brain function: Researchers found that regular cannabis users who started before they were 15 years old did not score as well on brain tests as their counterparts who began using cannabis later in life. Acute memory loss: A British study suggests that smokers of potent cannabis strains (skunk, for instance) may have a higher risk of acute memory loss. Changes in human DNA: A British study found compelling evidence that cannabis smoke damages human DNA in such a way that the user could become more susceptible to developing cancer. Testicular cancer: A 2015 review and meta-analysis of three earlier studies found that frequent or long-term marijuana use may increase the risk of developing testicular cancer, but more evidence is needed to confirm this. Marijuana may be addictive, and long-term use may cause various health problems. Cannabis, like other pain relievers, can lead to dependence and addiction. Over time, the severe, persistent overstimulation of the neurotransmitters that bind to cannabinoid receptors can cause changes in the brain that result in a marijuana use disorder or addiction. According to the National Institute on Drug Abuse (NIDA), people who start using marijuana at a young age, and who are heavy users are more likely to develop a marijuana use disorder than some other users. Abrupt withdrawal from cannabis can be uncomfortable but not life-threatening. Withdrawal begins on the second day after stopping and may persist for up to weeks. Sleep problems can potentially persist beyond that time frame. The full extent of the long-term health risks of chronic cannabis use is currently unknown. There is no way to determine who will develop severe physical, psychological, or other unwanted reactions. Drugs that do not have legal status, do not have FDA approval, or both cannot be guaranteed safe. So-called synthetic marijuana, such as K2 or Spice, is not marijuana, although it contains some of the compounds found in marijuana. Some people may try untested and illegal synthetic cannabinoids in the belief that they are legal. This can be dangerous and possibly fatal. Cannabis and related products, such as CBD, are legal in some states but not in others. It is important to check your state laws before purchasing marijuana, cannabis, or their derivatives. Researchers have been looking into the possible benefits of cannabinoids for treating different health conditions. These include autoimmune disease, inflammation, pain, seizure disorders, psychiatric disorders and substance use disorders, withdrawal, and dependence. Many researchers are investigating the medicinal potential of cannabidiol (CBD), a cannabinoid found in marijuana that does not have psychoactive effects. In June 2018, following a lengthy process of research and clinical trials, the FDA approved the use of CBD to treat two rare and severe types of epilepsy that do not respond well to other treatments. The drug is called Epidiolex, and it is a medication that derives from marijuana. It is a purified cannabidiol that does not contain THC. Some people believe that CBD might help relieve the pain and inflammation that occurs with fibromyalgia and arthritis, for example, and possibly for treating anxiety and addiction. Some studies have demonstrated that THC shows some promise for the treatment of nausea and vomiting, but its adverse effects may limit its use. It may have antiemetic qualities that make it helpful for people undergoing chemotherapy or other treatment where nausea can be a side effect. THC may also decrease pain, inflammation, nausea, and muscle control problems, but as yet, no medications for these conditions have approval, and more evidence is necessary to confirm their safety and effectiveness. Some clinical trials have shown that THC has mild-to-moderate pain-relieving effects, and might be useful for the treatment of headache pain. Studies suggest that there are specific benefits of certain types of marijuana use, and the FDA will likely approve more types of marijuana for medical applications over time. In addition to Epidiolex, three other drugs have received FDA approval: Marinol, Syndros, and Cesamet. These medications contain synthetic substances with a similar structure to THC. They are treatment options for some kinds of anorexia. 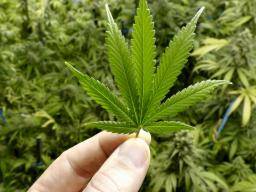 Other researchers are looking at the potential for marijuana extracts to target and kill cancer cells, in particular as a treatment alongside radiation therapy. Results of a study published in July 2018 found no evidence that cannabis use can reduce pain or reduce the need for opioids in pain related to cancer. However, the use of cannabis was mostly illicit and did not focus on the use of specific cannabinoids. Could Your Histamine Intolerance Really Be Mast Cell Activation Disorder? Do you have trouble with histamine? Have you struggled to get a diagnosis? In Mast Cell Activation Disorder (MCAD), part of the innate immune system becomes hyperactive, releasing histamine and other chemicals that affect every organ system in the body. Read on to learn more about MCAD, and how you can address the root cause. Histamine intolerance has become a popular term in the natural health community. Characterized by symptoms that appear to worsen with the intake of foods that are high in histamine or that stimulate the release of histamine, histamine intolerance is not really a diagnosis as much as it is a description of symptoms. Most clinicians, including myself, now believe that Mast Cell Activation Disorder is a more accurate description of what patients with so-called “histamine intolerance” are suffering from. There are a number of factors that can contribute to, or cause, histamine intolerance, including excess histamine production, diamine oxidase (DAO) enzyme deficiency, HMNT mutation, and poor methylation in the liver; however, my experience has been that MCAD is responsible for a large number of cases of histamine intolerance. This article will serve as an introduction to MCAD – what it is, what causes it, and how to treat it. Mast cells are white blood cells found in all human tissues, especially at places where the body interfaces with the environment, like the gut and skin. Though best known for their role in allergies, mast cells are also involved in the formation of new blood cells, wound healing, the development of immune tolerance, defense against pathogens, and the maintenance of blood-brain barrier function (1, 2). Mast cells are the sentinels of the innate immune system, on the lookout for environmental changes or insults to the body. They respond by releasing mediator molecules that influence the behavior of other cells and tissues in an effort to maintain normalcy, or “homeostasis.” There are over 200 of these mediators stored within the granules of mast cells, including tryptase, prostaglandins, leukotrienes, and histamine (3). Histamine often gets a particularly bad rap, but it has many important physiological functions in the body: acting as a neurotransmitter, regulating stomach acid secretion, and playing a role in the local and systemic immune response (4). The key takeaway here is that we need mast cells and their mediators for normal body function. The issue arises when these cells become overactive, as they do in individuals with MCAD. Mast cell activation disorder is characterized by the accumulation of mast cells that are genetically altered (mastocytosis) and/or the abnormal release of mast cell mediators (Mast Cell Activation Syndrome). Because mast cells are found in all human tissues, and mast cell mediator receptors are found on almost every cell in the body, MCAD has the potential to affect every organ system (5). MCAD presents clinically as a chronic, multisystem pathology of a generally allergic and inflammatory theme, and has been associated with obesity, diabetes, skin conditions, irritable bowel syndrome (IBS), depression, and more (6). MCAD does have a genetic component, and tends to cluster in families (10), though related individuals may present with very different symptoms (11). Trouble with histamines? Get to the root of the problem. MCAD is estimated to be more prevalent (7) than other diseases of mast cell dysfunction, but also more difficult to recognize. This is at least in part due to the fact that it often does not cause abnormalities in routine lab testing. MCAD was not named as a condition until 2007 (8) and diagnostic criteria weren’t proposed until 2010 (9). Heavy metal toxicity: Heavy metals like aluminum and mercury have been shown to destabilize mast cells. This makes sense, as the very purpose of using these as vaccine adjuvants is to elicit a heightened inflammatory immune response. Lead, cadmium, and bismuth have also been found to activate mast cells and cause mast cell mediator release (12). Infections or gut dysbiosis: The gut is home to 70% of the immune system (13), including a large number of mast cells. Parasitic infections, bacterial/viral infections, or bacterial/fungal overgrowth activate mast cells (14). Helminth parasites and Candida have been shown to be potent stimulators of mast cell activation (15, 16). Mast cells regularly interact with microbes, and gut dysbiosis itself may lead to MCAD (17). CIRS: Chronic Inflammatory Response Syndrome could also play a role. Those who are particularly susceptible to mold and have a reduced ability to clear mycotoxins from the body, which leads to a constant activation of mast cells. Adopting a low-histamine diet: For some people with MCAD, a low-histamine diet provides significant relief. Supplemental diamine oxidase can also help by increasing histamine breakdown. But, it’s important to keep in mind that this is only reducing exogenous (outside) histamine, and not altering the amount produced by your mast cells endogenously (within the body). Histamine is also only one of many mediators produced during mast cell degranulation. Focus on nutrients and foods known to stabilize mast cells: Many nutrients, including selenium (18) and vitamin C (19), have been shown to stabilize mast cells. A number of herbs and spices, like holy basil (20), peppermint (21), ginger (22), thyme (23), and turmeric (24) also have this effect. I have also seen good results with supplemental forms of quercetin (25), bromelain, nigella sativa (26), nettle (27), and butterbur (28). Reducing stress: Corticotropin hormone, released in response to physical or psychological stress, destabilizes mast cells and causes them to release their mediators (26). Entraining circadian rhythms: Mast cell activity closely mirrors circadian rhythms (27), so getting enough sleep and avoiding blue light at night is crucial. Remove heavy metals from your system: Chelating agents can help to remove heavy metals from your system. This is best done under the guidance of a healthcare practitioner. Removal of old mercury fillings by a trained professional can also reduce the burden of heavy metals in the body. Treat infections: A comprehensive stool test can help identify parasites and other infections that could be contributing to mast cell activation. Heal your gut: Remove inflammatory foods and focus on nutrient density. Include plenty of probiotic, prebiotic, and healing foods in your diet. Food plays a role, but the condition known as histamine intolerance is multifactorial: traditional allergy, genetics, lifestyle factors, and the health of the microbiome all play a role in developing issues with histamine. Physical location alone can trigger histamine intolerance. 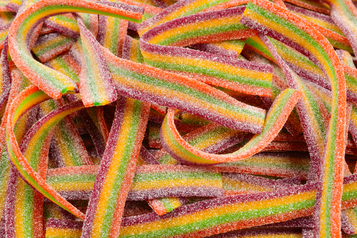 Paying too much attention to high histamine food lists will leave you with nothing you can eat, which is not healthy. Histamine intolerant or no, you will need to eat food. Watch out for products, like alcohol and NSAIDs, that decrease diamine oxidase, the enzyme used to break down extracellular histamine. Gut repair and the microbiome play a big role in combatting histamine issues. Rule out mast cell activation disorder with your doctor, which can be done by measuring serum tryptase levels. A real condition with a very unfortunate name. If you’re reading this blog, you’re likely in the midst of internet research, which can be useful. For example, I never understood until recently that it was an overload of histamine that sometimes caused my insect bites to swell beyond normal, and I wouldn’t have found this information were it not for commentators like Dr. Ben Lynch, who has written about having the same issue. So, yes, do your research. But a word of caution is in order as well. Before you go too far down the high histamine food list rabbit hole, it’s important to remember that histamine intolerance is multifactorial. Food gets all the attention, but food is just one of the issues that cause histamine to build up to unhealthy levels in the body. Severe reactions to high histamine foods are very likely a warning sign that one of the five factors I discuss below is out of balance, especially the microbiome. For me, one of the aggravating issues was getting my wisdom teeth out while living in a region of the country where I have severe allergies. Wisdom teeth surgery equals antibiotics and high dose NSAIDs, both of which kill off healthy gut bacteria, lower levels of diamine oxidase (the enzyme our bodies use to clear histamine) and invite the spread of pathogens, like Candida, that can help cause reaction to high histamine food, or really just cause immune cells to go haywire in the first place. As I continue on a gut repair protocol, and move to a season where my allergies aren’t as severe, I no longer limit histamine rich food, except for the very worst offenders like aged cheese, tea and wine. Remember, all food contains some histamine. Even if you suspect you have an issue with histamine intolerance, you are not permanently unable to deal with histamine, you just need to do some digging to get a handle on what is happening with your body and why. Histamine intolerance is unlike other food allergies or sensitivities in that the response is cumulative, not immediate. Imagine it like a cup of water. When the cup is very full (high amounts of histamine in the diet), even a drop of additional water will cause the cup to overflow (symptoms activated). But when the cup is less full, it would take more water (histamine) to cause a response. This makes histamine intolerance tricky to recognize. So, what factors contribute to the histamine overload Chris references? There are five big ones. This is a big factor almost no one talks about in the context of histamine intolerance, but the primary culprit most people think of when they think of histamine is traditional allergy. Allergy to the environment triggers the immune system to produce histamine, which starts to fill the histamine bucket. In my experience, especially when the gut has been compromised, seasonal allergies can bring histamine levels to the very top of the bucket. For example, immediately after my wisdom tooth ordeal, I couldn’t eat the same way in Austin, Texas as I did when I spent time on the California coast, especially during grass pollen season in Austin. The air-borne allergens took up a good chunk of my histamine bucket leaving me with reduced wiggle room for food. I would react to foods in Austin that I did not react to in Sonoma for example. The same was true for supplements. I benefit from Lions Mane in California, but because Lions Mane produces Nerve Growth Factor (which is also produced by mast cells when they degranulate and release histamine), I don’t tolerate it as well in Texas, and even experienced itching on my arm, which is a known side effect. In the quote I included above, Chris talks about a “full histamine glass” due to high levels of histamine in the diet. But what about the scenario where the glass is full due to seasonal allergies? If you live in a city where your allergies are particularly bad, your body is constantly producing histamine independent of what you eat. A person with histamine intolerance will typically experience a constant fluctuation in the signs and symptoms of histamine excess in response to changing conditions. For example, when a person is experiencing allergy to air-borne allergens such as seasonal pollens, the histamine released in the allergic response alone might put them into the symptom range. In such a case, avoiding histamine-associated foods will no longer relieve their symptoms because their total level of histamine will remain above their limit of tolerance. This explains the observation that during their “pollen allergy season” many people find themselves reacting to foods (usually histamine-rich foods) that they could normally eat with impunity. Dr. Joneja’s commentary explains why some people feel so much healthier on the coasts. In fact, there are whole communities of people on the internet who rate places they’ve lived based on how they felt in that location. Described as the “locations effect,” those suffering from chronic fatigue and mold sensitivity or toxicity have described significant improvement when they visit certain climates, especially coastal and arid climates. A word of caution about the Locations effect groups. While their stories are useful in understanding that one’s physical health can be affected by geography, becoming phobic of place after place due to an often vague notion of “mold toxins” is I believe a sickness mentality that will keep people feeling unwell. The goal is to enjoy our food and to enjoy our homes and to feel great. I mention the locations effect community because I think location plays a larger role in health than the medical community recognizes, but the “extreme mold avoidance” lifestyle, is in my view, just another high histamine food list – an unsustainable lifestyle that prevents full participation in, and enjoyment of life. Now, having said that, I recognize that there are some people who have such great sensitivity, that they can only thrive in certain environments. My discussion above is not intended to marginalize them, but rather to encourage those of us with more benign issues, not to take this location issue too far. Nonetheless, when the impact of location comes on your radar, you start to notice how much it can affect people in your circles. For example, a good friend’s wife was just telling me how amazing she felt in Croatia, and how that all went away when she came back to southeast Michigan. Her puffy eyes and sniffles returned with abandon. Similarly, I’ve noticed that I feel incredible after just a few days in Southern California. I don’t believe this is a coincidence for either of us. San Diego and coastal Croatia are both mediterranean climates where Texas and Michigan allergens are largely non-existent. It makes logical sense we’d both feel better in climates where we have very few allergies. Related to this issue of allergy and mold avoidance in the chronic fatigue community, which at their essence are issues rooted in air quality, if you’re having issues with histamine intolerance, it may not be a bad idea to identify potential mold exposure in the past. Mold toxins will cause mast cell activation, which is the process your body undergoes when it releases histamine and other inflammatory substances from immune cells. If a portion of your body has been colonized by mold toxins, conditions like histamine intolerance may not be far behind. Detoxifying from the mold exposure could be what solves the histamine issue. To find out if you have elevated mold toxicity, there are two labs that offer high quality mycotoxin panels: Real Time Laboratories and Great Plains Lab. These are both simple urine tests, but elevated mycotoxins from these labs indicate an issue with mold. For a discussion of how mold toxins link with mast cell and histamine issues, I have included with interview with Dr. Neil Nathan, a mold and mycotoxin expert and clinician, below. Note: finding a genetic marker for histamine intolerance does not necessarily mean you will have trouble clearing histamine, it serves as a “clue” to dig deeper into lab work and symptoms. There are two primary enzymes that break down histamine in the body: diamine oxidase (DAO), and histamine N-methyltransferase (HNMT). (R) (R) (R) Both DAO and HMNT production are coded for specific genes. The AOC1 gene makes DAO, and the HNMT gene makes HNMT. So as not to confuse the DAO enzyme with the DAO gene, take a look at Aaron’s post: You say DAO, I say DAAO. DAO breaks down “free histamine,” like the histamine found in the gut, while HNMT processes histamine in the cell. Variants in the AOC1 gene have been associated with reduced DAO activity. This Italian study found that 10 out of 14 patients with histamine intolerance had very low levels of serum DAO. The thing to remember about DAO is that not everyone has the same amount, and that your day to day habits play a role in shaping your DAO levels. Some people are genetically more efficient at clearing histamine than others, and lifestyle factors can either improve, or inhibit, DAO levels. Antibiotics, alcohol, local anesthetic and NSAIDs, like Motrin, all further reduce our natural ability to clear histamine by reducing DAO levels. Aaron’s research indicates that histamine issues often coincide with gut problems because histamine, when chronically elevated in the gut, can cause an increase in zonulin, which is a protein shown to break apart the epithelial wall, which is the lining that keeps the contents of the gut from entering the blood stream. In fact, decreased DAO levels are linked to a number of inflammatory bowel conditions, including Crohn’s diseaseand ulcerative colitis. (R) I list leaky gut as a condition that can be caused by allergy in my post 6 strange conditions caused by allergies. To make matters worse, many fermented foods, marketed for “gut repair,” actually produce histamine. Lactobacillus casei, found in many probiotics, is said to be one of the worst offenders. Collagen, another gut repair supplement, is also very high in histamine. Even undigested animal protein can ferment in the gut causing histamine levels to rise. (R) Excessive protein consumption is one that doesn’t come up in most histamine discussions (many proteins are listed as “safe”), but histidine is an amino acid in protein that converts to histamine. Too much animal protein can cause histamine levels to rise, (R) and your ability to digest protein can be a function of blood type. Although the blood type diet has largely been debunked, the one redeeming scientific feature is hydrochloric acid levels in the stomach. There is actually good science that shows a strong link between certain blood types and their stomach acid levels. Those with more hydrochloric acid have a greater ability to digest animal protein. For more on that subject, check out: The blood type diet has been debunked, or has it? There also appears to be a link between small intestine bacterial overgrowth (SIBO) and histamine intolerance, with some people reporting renewed ability to eat histamine rich foods after following a SIBO protocol. This story is extreme, but provides a nice example. Further, there appears to be a link between SIBO and NSAID use. (R) For people with an already diminished capacity for clearing histamine due to decreased DAO levels, NSAID use could make matters even worse. If you’ve had a recent life event that necessitated use of NSAIDs, it could be the cause of SIBO and histamine intolerance. Last, we know that Candida degranulates mast cells and can contribute to histamine intolerance as well. In my post on treating Candida, I cite a paper written by a Dr. Truss who theorizes that Candida infection can result from inflammation stemming from a chronic allergic response. Now, to give both sides, there is also a Quack Watch article on Dr. Truss, but I list the theory here nonetheless as it may clue in a reader as to how better deal with an episode of histamine intolerance. If you suspect Candida as an issue that is leading to histamine intolerance, a good protocol to try is low carb (less than 50g of carbohydrate a day) for a week, and see how you feel. A low carbohydrate diet, which is by definition low in amolyse (the enzyme that converts starch to sugar) will also stop feeding mold if that is an issue. Both toxic mold and Candida can colonize the gut and sinuses, which can lead to many of the symptoms we associate with histamine intolerance. The bottom line that gut dysbiosis, in all its forms, can contribute to, or even cause, histamine intolerance. In many cases, healing the gut will clear up issues with histamine. Lifestyle choices can impact histamine levels in a big way. How we live, what we put in our bodies, and stress levels all contribute to how we handle histamine. In my case, histamine issues worsened after having my wisdom teeth out. Prior to the operation, my doctor asked that I take a few days of antibiotics prophylactically as a precaution against infection. Taking antibiotics has been proven to inhibit DAO activity. Of course, I also took local anesthetic, another known DAO inhibitor. (R) I also reluctantly took high dose Ibuprofen for a number of days after the operation to ease pain, which is another big no no when it comes to histamine. This is especially the case if you have certain SNPs in the AOC1 gene. (R) Both antibiotics and NSAIDs limit DAO production. In doing research for our guide to Genetics and Nutrition, Aaron added NSAIDs as contraindicated for the T allele of ACO1 rs10156191. So, as you can see, I stumbled upon the perfect storm of lifestyle factors that can add up to histamine intolerance. I took antibiotics, NSAIDs, and local anesthesia, all while living in an environment where my allergies are severe. What are some other lifestyle factors that can contribute to our histamine bucket overflowing? Believe it or not, strenuous aerobic exercise releases histamine. (R) This is not to say exercise should be avoided, it’s just meant to point out that lifestyle factors play a role in the amount of histamine circulating in our bodies. Alcohol is another big one. Alcohol, especially red wine, contains high levels of histamine, and is also a DAO inhibitor. If you have histamine issues, it’s best to cut out booze altogether until you can right the ship. In the histamine intolerance blogs I’ve read, diet is usually mentioned first, perhaps because it’s easiest to control. However, as this post discusses, the other four factors listed above will directly affect what foods you can handle. If you’re living in a city where you have very few allergies, have good stress management and strong histamine genes, your likelihood of developing histamine intolerance goes down. If you’re drinking all the time, eating sugary foods and taking antibiotics whenever you catch a cold, your likelihood of developing issues with high histamine food goes up. The goal is to decrease your histamine load so that you have more room for error when it comes to food, because if you follow a histamine free diet for long enough you will effectively starve yourself. Especially here in Austin during the spring, I can feel anxiety levels fluctuate based on what I ate the day before. I have major grass allergies, and spring is grass pollen time in Austin, so my room for error with histamine foods seems to be reduced. If I load up on high histamine foods one day, I won’t feel as good the next, so I can personally attest to the importance of limiting histamine rich food. However, food is not the only factor. We need to eat to be healthy. In my case, and before histamine came on my radar, I was unknowingly eating a very high histamine diet. Cutting out some of the obvious worst offenders, like cheese, and limiting animal protein, seemed to go a long way towards resolving my issues. Nonetheless, most of the blogosphere hyper focuses on high histamine food lists, which causes those of us trying to balance histamine levels to associate food with stress and to unnecessarily limit what we eat. Let me repeat: histamine issues or no, you’re going to have to eat. While I do feel better by keeping an eye on, and limiting, dietary sources of histamine, a couple weeks of scouring high histamine food lists drove me crazy. I no longer use them, or reference them. I have a solid idea of which foods are highest in histamine, and which ones I don’t do well with, but I also understand that virtually all food contains some histamine. I am not eating a zero histamine diet because I find it almost impossible to get enough nutrients, and completely impossible to enjoy life. My new lower histamine diet takes into account my status as a single man who has to live in the world and be social. 75% of the time, I keep an eye on histamine, but if I’m out to dinner with friends, I am not going to obsess over what entree has the absolute lowest histamine levels. On a recent trip to Sonoma with my family, I abstained from wine, but basically ate everything else I could get my hands on. I felt fine (in my opinion, largely because of location). I stay away from red wine and most cheese, but have been reintroducing foods like avocado, banana, walnuts, and other foods commonly listed as “exclude” on high histamine food lists. My strategy is to remove “low value” histamine foods, i.e. foods that are high in histamine that I don’t enjoy all that much, and totally exclude the “obvious” histamine offenders like red wine, cheese, and all processed meat. The implied consensus view when confronted with a histamine issue is to remove every last drop of histamine from your diet, and if you’re very sick, this may be necessary for a time. However, it might not be. You’ll have to learn what your body needs. Not everyone processes histamine in the same way. If you’re sensitive, being mindful of histamine is a good idea. However, viewing food as the enemy isn’t the solution. Viewing a laundry list of food as “bad” is not going to take you where you want to go. Diminished ability to deal with histamine, does not equal zero ability to deal with histamine. Extreme diets are not sustainable. How many really healthy people do you know who eat as if they are navigating a mine field? Don’t let histamine issues, or any other health project you’re working on, put your mind into a sickness mentality. Keep in mind that dietary histamine is only one factor that contributes to your overall histamine load. The idea is to eat smart and stay healthy, not to panic and start to fear your fridge. If you want to reduce histamine, there are plenty of places to do it besides the fridge. Below is a list of the supplements I have found helpful for histamine issues. I have tried each of these products myself, but cycle them. I don’t recommend taking multiple new supplements at one time. Better to take a small dose of one, journal for a few days, and then determine whether it works for you. I wrote about this probiotic strain in my post about probiotics and brain health. Lots of probiotic blends contain a strain of B. Longum, but few specify which strain. As I touched on in my brain health post, there is emerging evidence that B. Longum aids in breaking down histamine and ammonia, as well as increasing levels of butyrate, a short-chain fatty acid responsible for protecting the gut wall. If curing histamine issues is all about the gut, this product is a good place to start. I find it helpful. Some of you may also want to mix it up with the Bifidobacterium blend by Seeking Health, as they have B. Longum(strain not specified) and B. breve. This tandem was shown to slow tumor growth in mice, per Jennifer’s post a few weeks back. I do cycle on and off of this ProBiopure Morinaga BB536 product as well so as to introduce a greater diversity of strains. Like B. Longum, L. Plantarum has frequently been mentioned as one of the best strains of probiotic bacteria for combating histamine issues, and there are some studies that back up these claims. One of the problems with accessing beneficial bacteria strains through commercially available supplements is that manufacturers throw “the kitchen sink” into the bottles, thinking all strains must be good. Rather than take my L.plantarum alongside strains that are said to be histamine producing, such as L. casei, I isolate good products that give me single strains to experiment with. The L. plantarum LP299v strain by Solgar is my go-to at the moment. This is a long post, but if you read the whole thing, you will remember my discussion of mycotoxin panels and mold toxicity. In some people, mold and yeast, like Candida will be what is causing their issues with histamine. The good news is that we have lab tests available to either confirm or rule out these issues. If you get the Great Plains or Real Time Labs testing done, and find that gliotoxins are elevated, Dr. Neil Nathan, in his book Mold and Mycotoxins, recommends S. boulardii as an effective binding agent to detoxify gliotoxin, which can be elevated due to mold, or some believe solely due to Candida overgrowth. For a thorough rundown of why and when to take S. boulardii, take a look at this blog post. Gene Food makes an S. boulardii product called Spartan Strain, but we also recommend Thorne to be objective. As we’ve learned here and in other DAO-focused posts, diamine oxidase, or DAO, is the enzyme our bodies use to break down extracellular histamine, such as the histamine found in the gut. I’ve found that supplementing with some DAO after a histamine-rich meal can be helpful. Well, it doesn’t get much more boring than this, right? But when I was having what felt like high histamine days, taking 1,000 – 1,500mg of Vitamin C calmed and centered me. Of course, as we document on our AOC1 gene page, Vitamin C is a diamine oxidase co-factor, so this makes sense. The Whole Foods Vitamin C brand listed here is organic, made from a food-based source, and I have looked at the supply chain to ensure there are no heavy metals. Another co-factor for producing diamine oxidase, vitamin B6 in small doses has been helpful, although just like zinc, which I will mention next, be very careful with B6 dose. Taking too much can cause nerve damage, and I noticed that I felt a tingling in my feet when I took 50mg a few days in a row. This is a supplement that requires conservative dosing. We also recommend Solgar Vitamin B6. Concentrations of zinc actually prevent the release of histamine from mast cells. (R) When I came across this research, intuitively it made sense since zinc regulates immune system activity and histamine intolerance is tightly linked to the immune system. My experience supplementing with zinc has been that low doses are better. When I have experimented with large 50mg doses, I’ve found tremendous benefit in the short term, but notice that I need to rapidly back off and move to a maintenance zone or I will start to experience unpleasant side effects. In my case, I believe a transition to a more plant based diet left me zinc-deficient, and a large preliminary dose helped me put my levels back to normal. The 22mg Solgar zinc supplement also is recommended. As a proven mast cell stabilizer (R), quercetin is one of the usual suspects on the histamine supplement circuit, but it’s a powerful antioxidant that has shown efficacy in a number of contexts, so don’t pigeon hole this mighty flavonoid. In fact, my post on how apple consumption has been linked to decreased risk if cancer in a number of large epidemiological studies is largely about the health benefits of quercetin. I have cycled on and off with a 500mg quercetin and 150mg bromelain regimen in the mornings and have found that somewhat helpful. For that experiment, I used a Whole Foods brand product, although I have also used a “natural antihistamine” called D-Hist by Ortho Molecular which I think is a better product because of the addition of nettles, Vitamin C and NAC, all of which have been shown to help with histamine issues. I use curcumin in place of NSAIDs, which are contraindicated for certain AOC1 genotypes and which won’t do wonders for anyone regardless of genetics. Yes, I am aware of a rat study which showed that curcumin reduced DAO levels. Even if that applies to humans, NSAID use is much worse for DAO and curcumin has been shown to be helpful in restoring gut health in human studies. In addition, the studies are conflicting. This study in micefound that curcumin reduced histamine levels. I also list Meriva’s phospholipid blend here as well, which is another good option, although as I detail in my post on curcumin formulas, may not be recommended for everyday use due to the phosphatidylcholine. For more on the potential health implications of phosphatidylcholines, take a look at our TMAO posts. As Aaron and I wrote about in our theanine post, theanine is another supplement that benefits the immune system and has been shown to inhibit the release of histamine from mast cells. (R) (R) Theanine is even more interesting in light of the fact that it is a glutamate antagonist, and histamine can reduce glutamate release, an especially important factor for people with GAD1 SNPs. I found that the 100mg dose of Jarrow Formula’s theanine was plenty for me, though currently they only sell the 200mg dose. This is another supplement that I stagger — I don’t take it every day. I’ve written about berberine twice so far on the blog: once as an anti-cancer supplement and once on a men’s health post I did on prostatitis. So, you may be asking, why am I bringing it up in this histamine post? Our findings also show that berberine exhibited preventive efficacy against NBP by adjusting these multiple metabolic pathways to their normal states. Particularly, berberine can effectively regulate the metabolism pathways of histidine, nicotinate and nicotinamide, phenylalanine, arginine and proline, and tyrosine, and can exert a good therapeutic effect on NBP. Now, for those of you who don’t know, histidine is an amino-acid precursor to histamine, meaning histidine is part of what makes histamine. This small rat study suggests that berberine may help the body better metabolize histidine, which could have beneficial effects for people with histamine intolerance. Presumably, one of the reasons people with histamine issues do well on a more plant based diet is their inability to deal with all the histidine in meat. Is it possible berberine resets a disrupted metabolic pathway? Maybe, although the answer is far from conclusive. If you decide to try berberine (we like Thorne’s berberine product), be very cautious with dosing! This is a strong supplement that will lower blood sugar. Having knowledge of histamine intolerance is empowering, but not if it causes you to fear your fridge. High histamine food lists can provide a framework for what foods to consider avoiding, but not everyone with histamine intolerance needs to avoid all histamine rich foods all the time. Basic genetic testing, through a provider like 23andme, can give you a window into potential problems with histamine clearance. It also makes sense to see an allergist and get tested for common environmental allergens. Knowing what your air-borne triggers are can help you plan food choices around seasons that will be the worst for you. For me, it’s spring time in Austin. Avoid yogurt, and other fermented foods that contain histamine producing bacteria. If it’s not essential use, consider avoiding NSAIDs and antibiotics, they can both disrupt production of the enzymes that degrade histamine. Last, remember to relax. Stress causes mast cells to release histamine. All of us can get rid of some amount of histamine — the trick is to figure out where your ceiling is and stay beneath it.